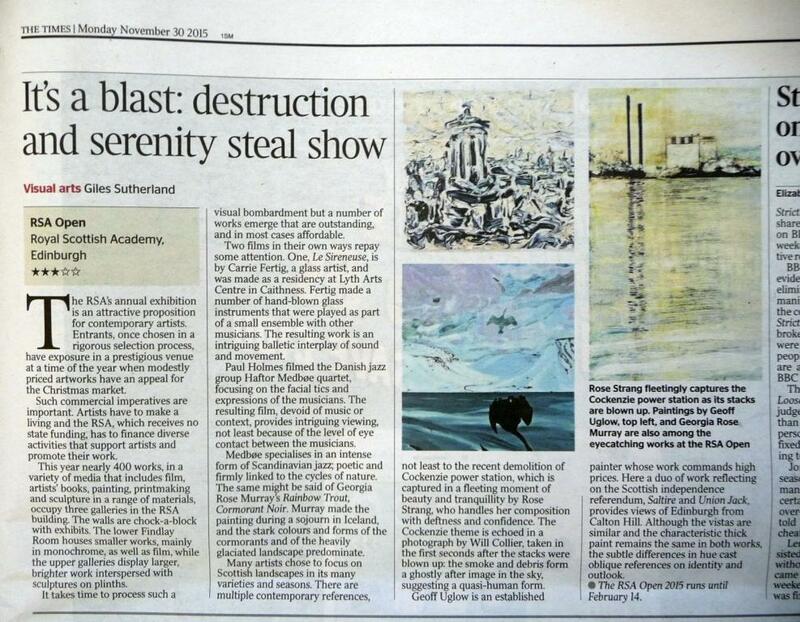 I was very pleased to read the review (above) of the RSA Open today in the Times, which mentions ‘Cockenzie Power Station, 26th September 2015’. The RSA Open is free entry and continues until February, there’s a lot to see and some great paintings and sculpture, I highly recommend you drop in. This entry was posted in Uncategorized and tagged rose strang artist, rose strang reviews, RSA Open 2015 on November 30, 2015 by rosestrang. Hey ur up there wae the big nobs now.ha. Well done Rose know how hard you work. I hope to go into gallery very soon. Happy belated birthday wishes.